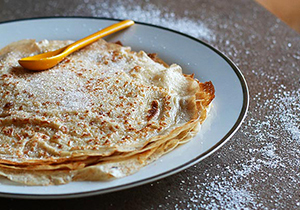 Malta is situated near Italy and Sicily, and we are lucky to have a lot of italian inspiration in our country, especially when it comes to food. The bruschettas, these italian hors d’oeuvres usually made of grilled slices of bread covered with cheese and tomatoes, are often served in the maltese restaurants. 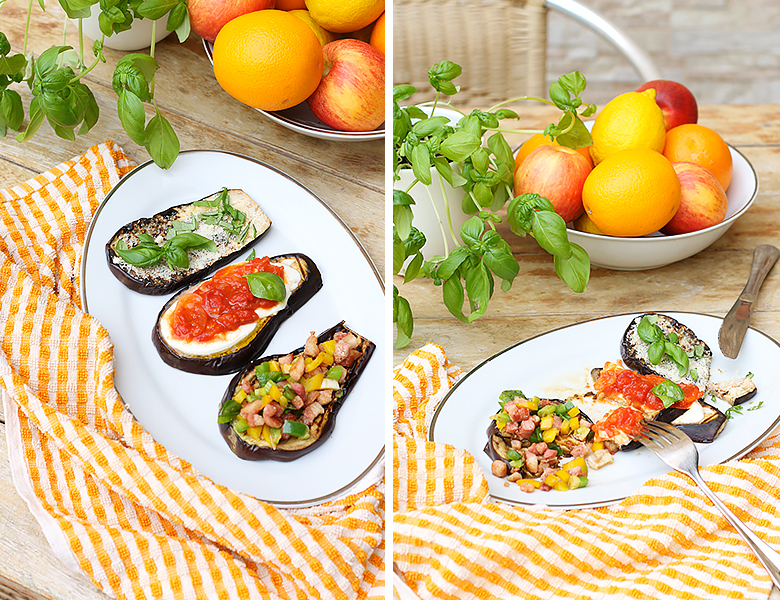 It inspired me to recreate three eggplant bruschettas that can be served as a starter or as a main course. 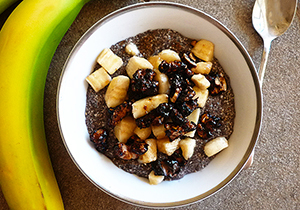 They happen to be a healthier alternative to the real bruschettas. 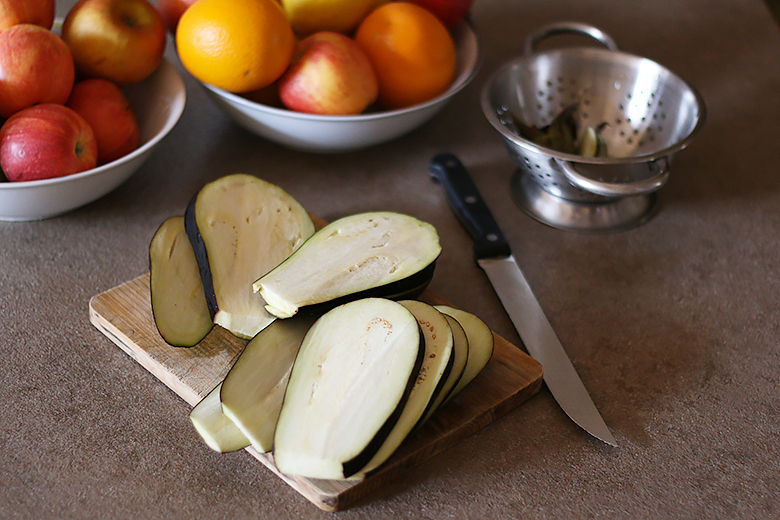 1 – Wash the eggplants and cut them in relatively thick slices. 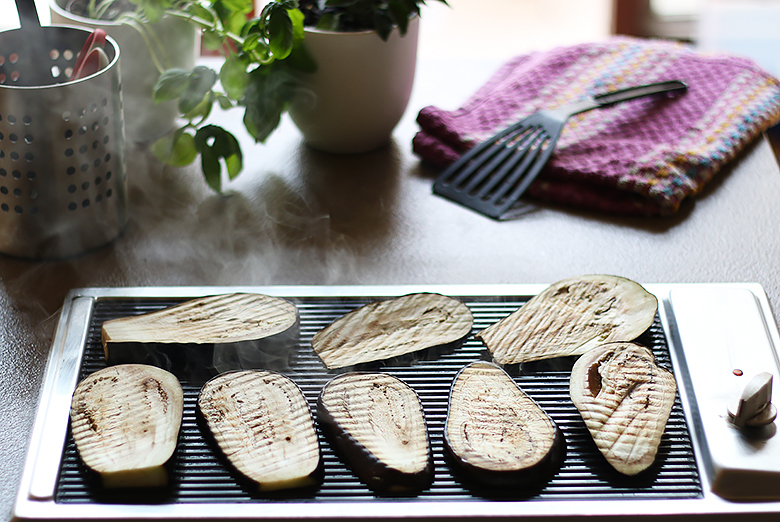 2 – Grill the slices of eggplant on a plancha (a pan or a barbecue also work) until golden brown, which takes approximately 5 minutes on each side. 3 – While the eggplants are grilling, chop the onion and sauté it in some olive oil. 4 – Then, add the can of chopped tomatoes and a finely chop clove of garlic. Let it cook at a low heat during a few minutes. 5 – One minute before taking the eggplants out of the plancha, cover them with mozarella slices so that it can slightly melt. 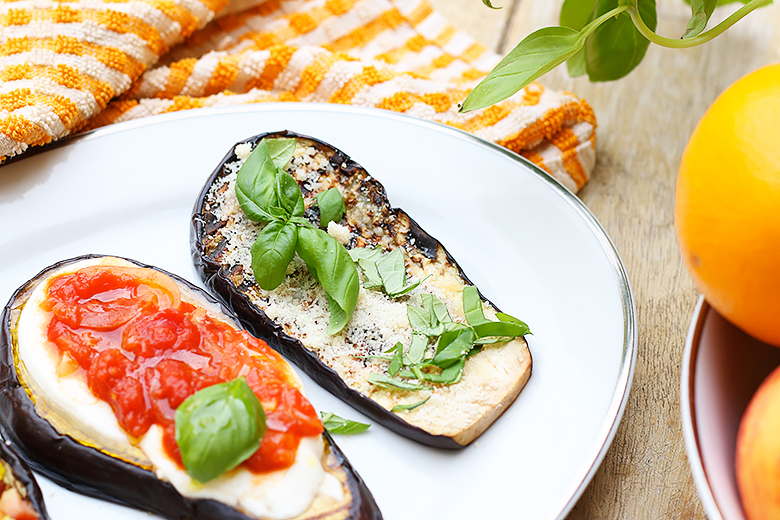 6 – Put the eggplant slices in a plate, cover the mozarella with the warm tomatoes and drizzle with olive oil. Add salt and pepper, and don’t forget the fresh basil ! 3 – While the eggplants are grilling, cook the diced bacon in a pan. 4 – Once they are washed, dice half of the green pepper and half of the yellow pepper. Chop the green onion. 5 – Add the vegetables in the pan and sauté everything at high heat. 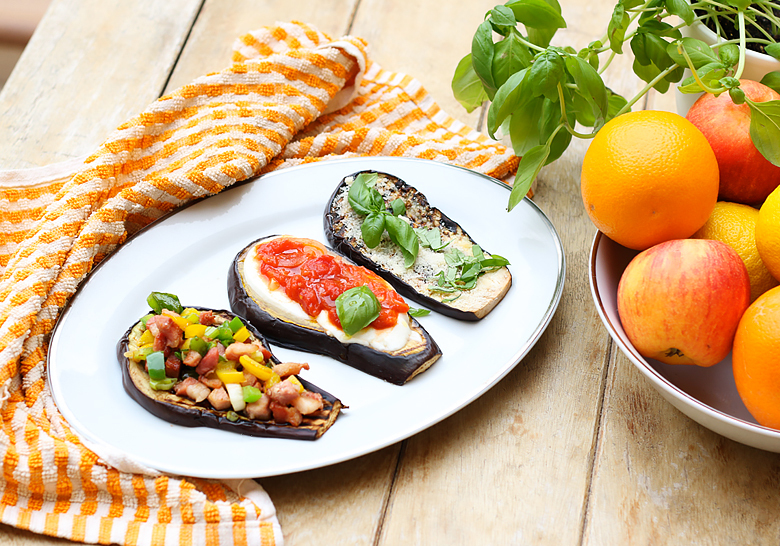 6 – Take the eggplant slices out of the plancha and cover them with the vegetables and bacon mix. 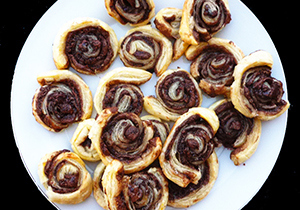 Add salt and pepper and drizzle with balsamic vinegar. 3 – A few minutes before taking the eggplants out of the plancha, cover them with a generous coat of grated parmesan cheese so that it can melt. 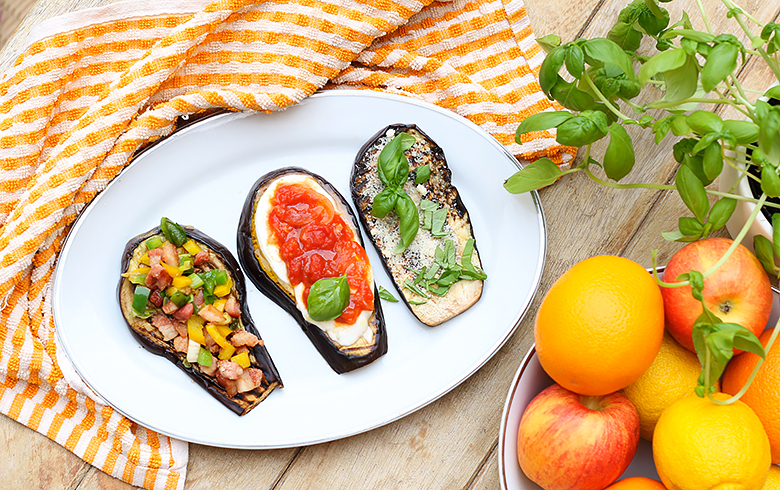 4 – Once the eggplants are ready, put them in a plate and cover them with chopped basil leaves.